Aalayam - Colors, Cuisines and Cultures Inspired! : Come Home to a Sanctuary! As promised, we are back with the home tour and the much awaited rendezvous with Divya Thomas! There is much left to be said, and we will say it, in this post replete with tranquil corners from Divya's home. Nestled in the midst of a bustling suburban town in North Carolina, USA, Divya and Sarit's home is a sublime escape. Greeted at the doorway with the heady incense of sandalwood, I could have been ensconced in any plantation house in the glorious spice coast of the Malabar or on the hallowed backwaters of Kerala. Divya’s home reinforces my belief that it’s not where you live, but what you make with your living space, that transforms a home into a sanctuary. The house sits amidst lush, almost tropical greenery, punctuated with rustic stone steps that start in the front garden, leading to a backyard creek, which shimmers in the sunlight, making its gurgly presence felt through the many wide windows of the house. 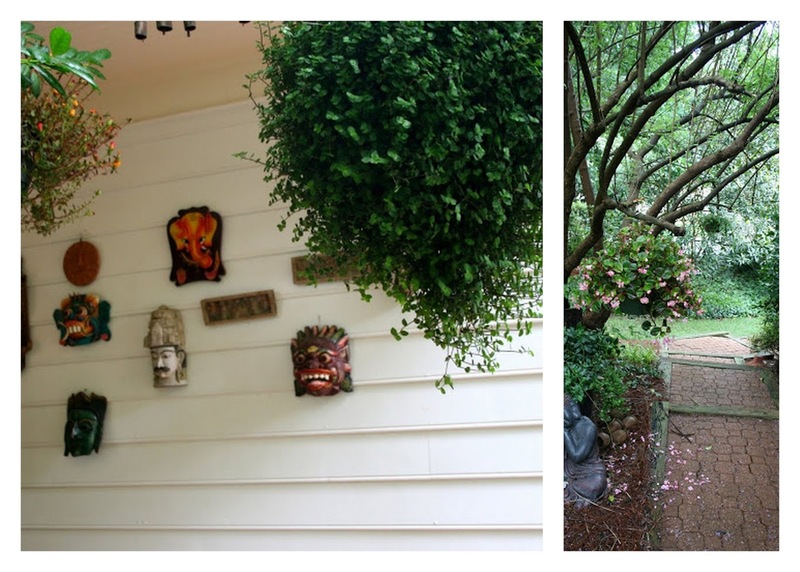 I hang out on the sandal scented porch, shaded by a vertical limbs of the trees and hanging potted plants, in the front yard, gaping at the variegated earthen masks, terracotta columns and cameos Divya has lovingly put up on the walls. 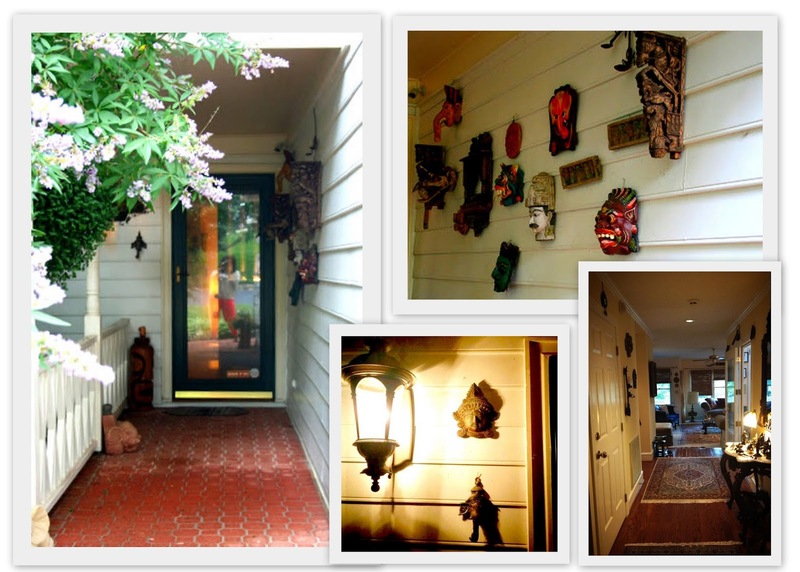 This entrance to her home sets the tone for what to expect inside the home. I get ready to get wowed! WITH THE OUTSIDE LIKE THIS, DO WE REALLY NEED TO GO INSIDE? THE OUTSIDE REFLECTS THE VIBE OF THE INSIDE! LUSH AND SERENE ESCAPE JUST OUTSIDE THE FRONT DOOR - WHAT A VIEW!! Within minutes of arriving I feel entirely at home, falling into rhythm in this beautiful, intriguing and quirky home with its high ceilings, polished floors and cool, dark rooms rife with antiques and family heirlooms. What is pervasive is the fragrance of sandal incense, it seems to be part of the home, giving it soul, filling it with a stimulating, almost arousing energy. I try hard to think of a design category in which to place this home in. I fail. But then again, that is the essence of all things Divya – no rules, no playbook, no conformist categories. 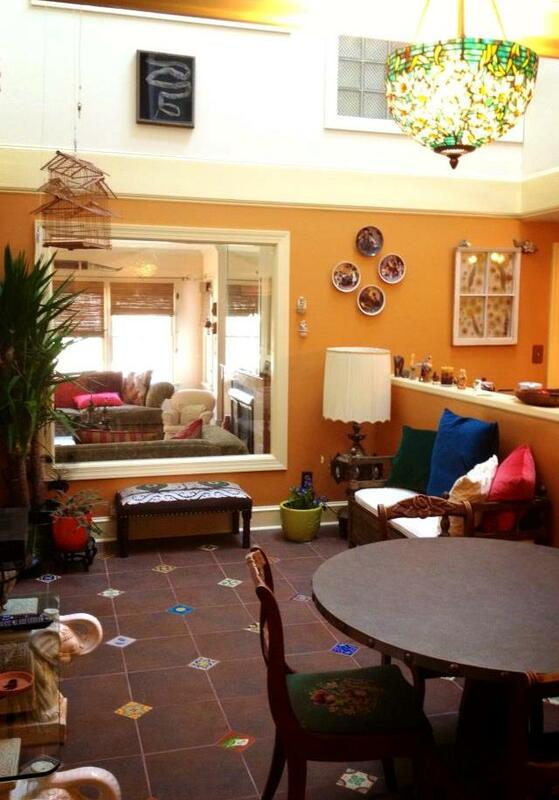 Divya’s home is a playground for her creative soul-curry. It’s a collection of well-loved and much traveled pieces adoringly put together in ways that please the eye. I pause and take in the architectural detail, the bold pieces of furniture and fixture that do not by any means, qualify as impersonal store bought “décor”, but define the warm and vital charm of the house as living and breathing boughs. THIS ROOM IS ONE OF DIVYA'S FAVORITE ROOMS IN THE HOUSE! Each piece, in each room, has a story..a friendship… a trip…a memory associated with it. The net effect is a cozy, yet riotous medley of colors, textures and vibes, evident in all these photographs that made a lasting impression on me. DO YOU RECOGNIZE THE ALL FAMILIAR R.K. LAXMAN ON THE WALL? It is captivating to notice how Divya has infused her personality into her living space she shares with her husband, her daughter and their precious furry family member – Lola, her onyx colored Peekapoo. Divya insists that her native roots do not influence her design sensibilities, yet, we see strong and bold flavors from her heritage reflected throughout her home. DID YOU KNOW THAT SARIT IS A DESCENDANT OF RAJA RAVI VARMA'S LINEAGE? THE MAGNIFICENT "NETTIPATTAM" ELEPHANT ORNAMENT AVOWS HERITAGE! Divya harbors a self confessed love for cozy, “cottagey” spaces. She says she would feel lost in a massive room. She believes that her living space reflects her mind space and if I could hazard an educated guess, I would say it reflects eclecticism and intrigue! NOW THAT IS WHAT I CALL A ZEN RETREAT! 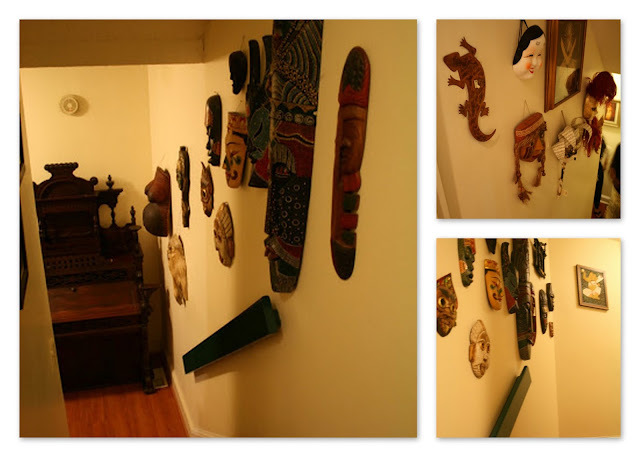 THE MASKS AND THE "PATTACHITRA" MONTAGE SET THE CREATIVE JUICES FLOWING EN ROUTE TO THE BASEMENT WORKSHOP! PHOTOGRAPHS BY AWARD WINNING FILM MAKER RYAN LOBO PEPPER THE KARMASUTHRA WORKSHOP. So my lovelies, we arrive at my most favorite part of the two part series on Divya Thomas and Karmasuthra – a fun and flirty peek into who the real Divya Thomas is. So here goes! The beauty of the canvas Divya is painting on resonates, in its bold, yet achingly familiar individual expression. Divya says that Karmasuthra is an exquisitely rewarding part of the beautiful journey she is on called life. It is not the destination...as she is still searching…striving…but graciously accepting the joy Karmasuthra has brought to her. Divya, you have touched our lives...a true inspiration! Thank you for being part of Aalayam's journey. thank you for visiting. Your blog has inspired me in many ways! Wish you were still posting frequently.. I wanted to feature Divya and had been chewing on the thought for a while now and I am glad Supriya made it happen. I am as impressed as you all are, both with the writing as well as with Divya's home! What a treat! 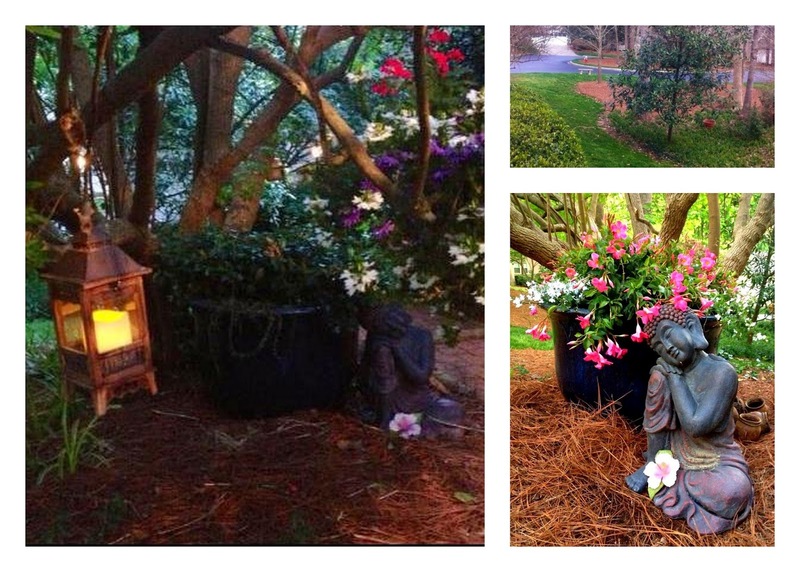 Thanks Divya for sharing your gorgeous home with all of us. Finally Divya! this is what we were waiting for. True to be a collectors nest - so fresh and vibrant with all the pops of color. 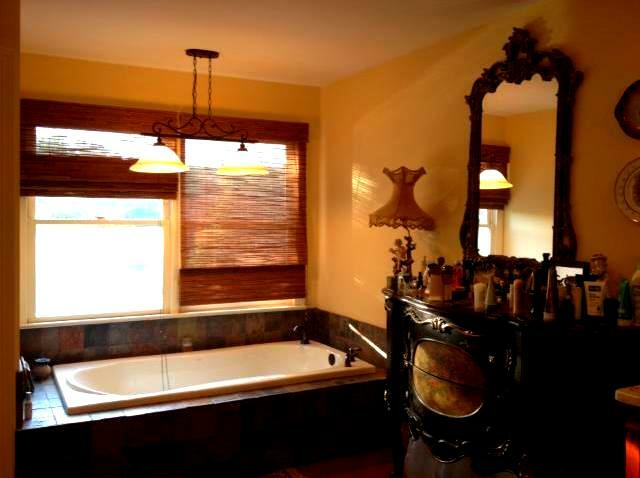 Love your walls, floors, knick knacks and especially the bathroom dresser. And I am smiling becoz I LOVE that guest room :-). Gorgeous Divya. 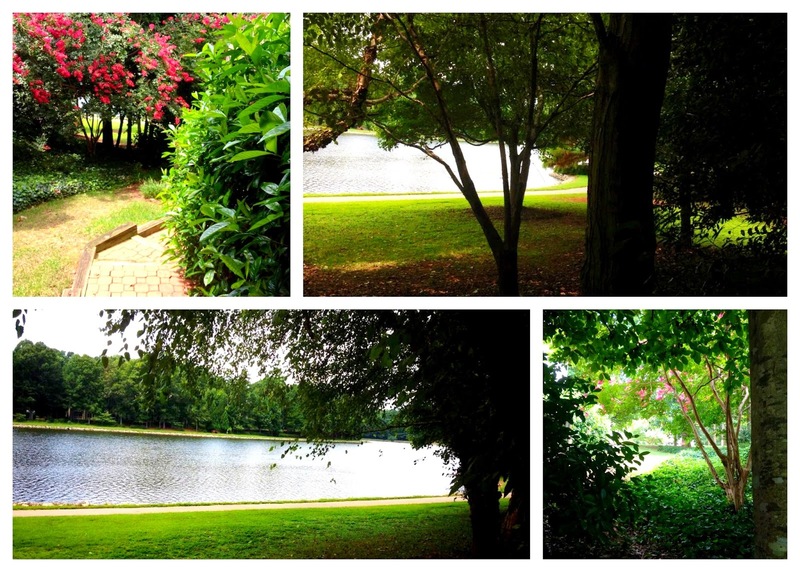 Thanks Deepa for sharing this and I enjoyed my first time on your blog :-). Divya you have such a beautiful home. Loved warm tones and all the knick-knacks. You have done up your home so beautifully. Thanks Deepa for sharing!! Kamini, how lovely to see you here. Supriya and Deepa, I've learnt much about gardening from Kamini. Thanks to her, I knew exactly what to get from the nursery. Supriya, check out her blog if you haven't already. Amazing! Thank you ladies. Humble thanks! For the love and adoration and for joining the Aalayam family!!! What a splendid idea this - and such great execution. I was Divya's senior in school and I was quickly nostalgic looking at her home away from home. Aparna, thank you for visiting and for your kind words!! We love featuring inspirational people, spaces and takes on life!! Looking forward to running into you again in blogosphere! Stumbled upon your blog and I must say I love it. The pictures the description everything is so beautiful. I will definitely be a regular to your space. Thank you Asha!! Please do come back, Join the Aalayam Family!! Your feedback drives us, keeps us going! Super loved the house ! what treat to the eyes. So inspiring so earthy and so comfy ! congratulations ! This House is beautiful in so many ways. Thanks for sharing! Thank you ladies! Stay tuned for more home tours! I was just reliving in the afterglow of the southern hospitality!! Can't wait to publish the tour! 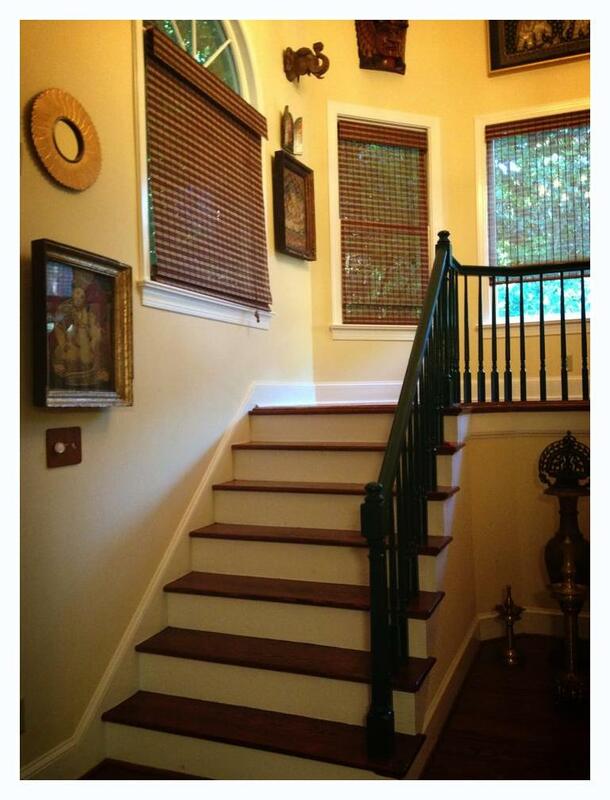 its a lovely house..the way you decorate the staircase area is awesome. Painting and wall decorative items are out of this world. very colorful and amazing house. 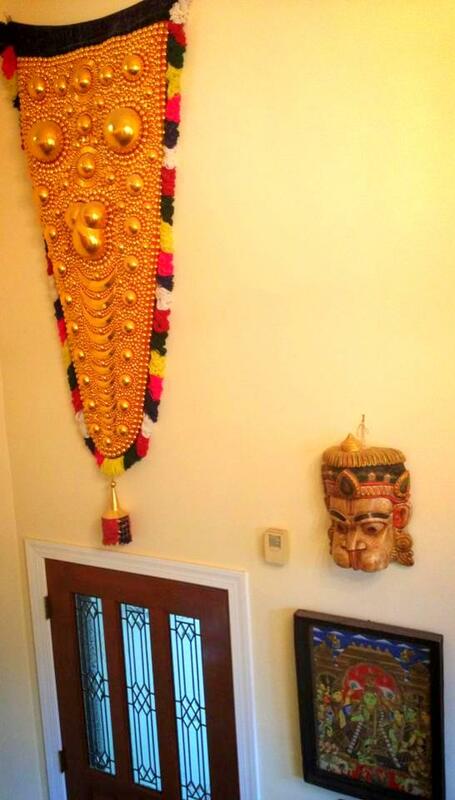 Mamta, I see Aalayam has captured your aesthetic vibe and our home tours have caught your eye. Please join the growing Aalayam family and become a member! We would love to stay honest under the niche of designers like yourself! I was hunting for some way (other than FB or mail, cuz i already did that!) to get thru to Divya at the earliest, to grab a few of her incredible pieces and i stumbled upon this blog..
What an experience! It's simply wowwwww!! Lovvvvved the bog, Divya - THE lady and her home! Needless to say anything about her work cuz that's what got me here!!! But I'm definitely gonna keep coming back to Aalayam to get inspired by this fun and play with words describing wonderful people around the globe! Great job Supriya!! Please join the Aalayam family, and become a member. We are always looking for niche culture and design aficionados like you, and would love to have you on board! I recently started going through your home tours. You have a lovely assortment of beautiful homes on your blog. Your house in particular is so vibrant. Its amazing on how beautifully you have bought together so many different elements, fortunate to have discovered your wonderful work.